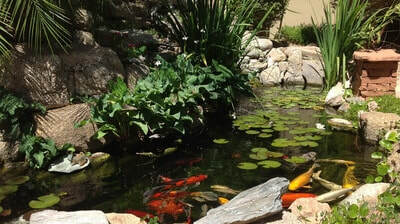 A fish pond or Water Garden as it is sometimes referred to is made up of many different parts and when those parts are assembled together correctly by a professional builder/installer, they form a beautiful and naturalistic work of art that changes personality with the time of day, the change of the seasons, and the moods of mother nature to enhance your home or business in The Phoenix & Scottsdale areas of Arizona. We will meet at a pre scheduled time, evaluate all opportunities, and advise you on design options to create a custom feature that meets your needs. 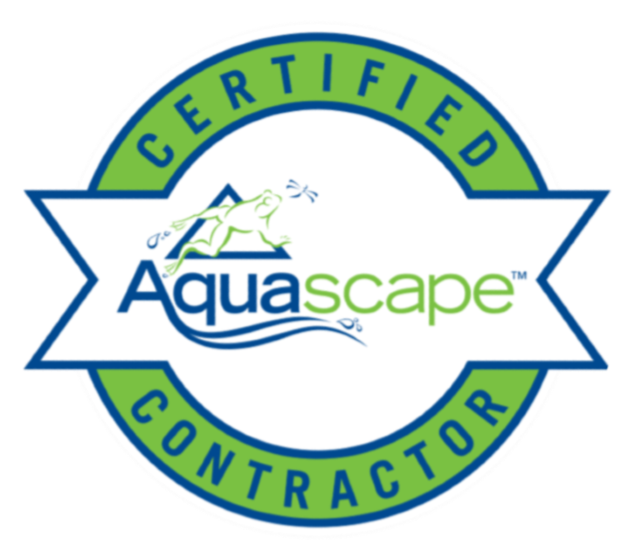 Our consultation fee is $150 (not charged if a contract is signed for installation) Click Here to fill out our Pond Consult Form to save $150 for the consult visit, and get an estimate for service promptly. 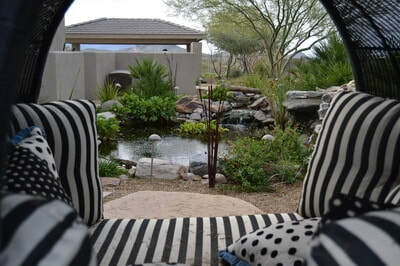 Ponds in the Phoenix desert?!?! Absolutely! 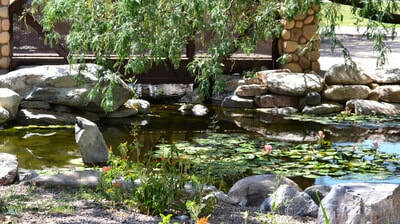 Riparian areas are scattered throughout the Sonoran desert, providing respite. 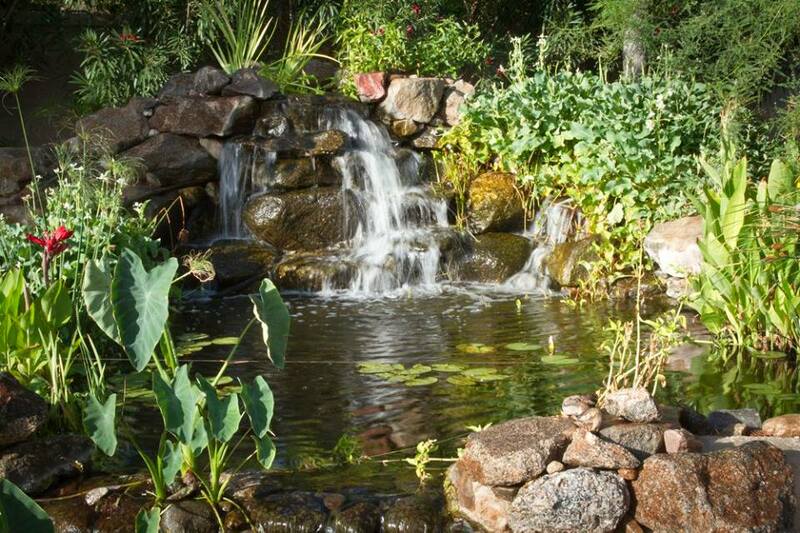 These include ponds, streams, and waterfalls. 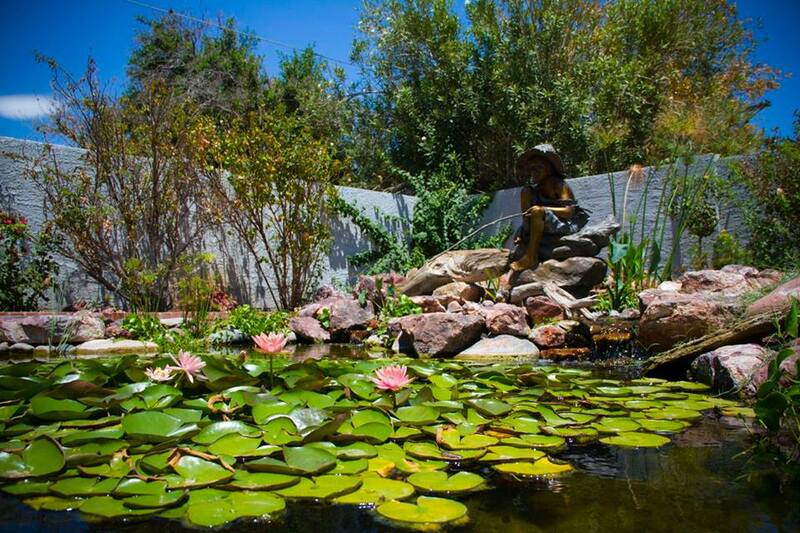 Whether you're interested in an ecosystem pond, a disappearing pondless waterfall and/or stream, or rainwater harvesting, The Pond Gnome can create what you've been dreaming of! Desert-wise landscaping does NOT have to be a barren wasteland with a few cacti punctuating the scenery. 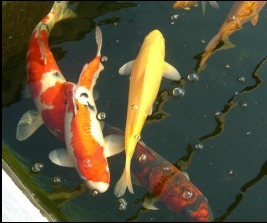 Nor does a tropical atmosphere require temperature-tender water-hungry plants ill-equipped to handle our alkali native soil. You can have an outdoor environment that reflects a contemporary, more enlightened use of the land surrounding your home — for the betterment of the Earth AND your own well-being.